From the New Zealand Herald, 1 July 1913, p8. Mr R.S. 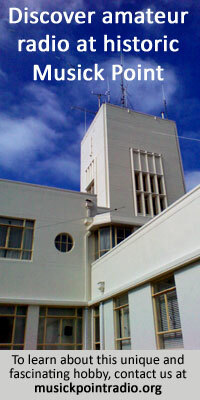 Wheeler, formerly a member of the staff of the Wellington telegraph office, has been appointed to take charge of the Auckland wireless station. Mr Davies, the former operator, has been transferred to the Chatham Islands, where he is acting as officer-in-charge of the experimental station. Ralph Stanley Wheeler succeeded John Llewellyn Davies at Auckland Radio, and then succeeded him again at Chatham Islands Radio the following year.